Today I've released an open beta version of my (free) PSXseeconTraffic add-on for PSX. It builds upon Balt's and Garry's work. With it you can fly with REAL LIFE / REAL TIME (-30 seconds) traffic in FSX SP2 or Prepar3D versions 2.5 or later. - make sure you have real life / real-time weather in PSX. More information (Manual, Download info) can be found at [url=http://www.lekseecon.nl/PSXseeconTraffic.html]my website. EDIT: July 3, 2018: Version 9.39 is up. I tried it in the mean time (as could be expected from another Dutchman) and it works great. Spectacular experience to fly between ... real aircraft in real time and to see them in the ND (Balt) -and- in the scenery generator (Garry and now Nico in another way). I couldn't resist to follow some aircraft into their ILS pattern. Important to install as many as possible AI-aircraft from freeware libraries (instructions in manual). and that PSXseecon generates the visuals in the ND (and the data in de CDU). Congratulations Nico! You've created an addon that extends the PSX experience even further. Well done! Thank you Garry, much appreciated. Detection of landing altitude improved. Thanks for developing this addon. Maybe I'm confused but how does this improve on RealTraffic? 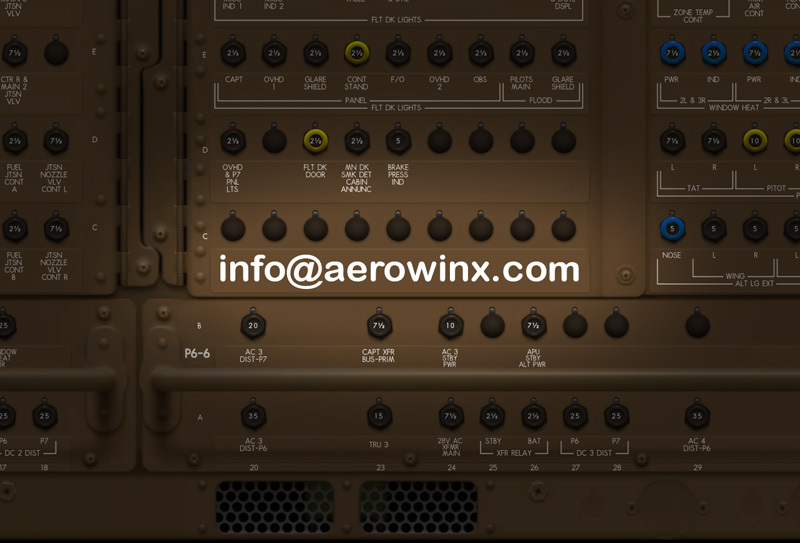 PSXseecontraffic not only injects the max (7) aircraft that are in TCAS range to PSX, it also injects ALL traffic within 40nm in your Scenery Generator (FSX or Prepar3D v2.5+), by generating the right liveries for it. It is similar to what vPilot does with VATSIM traffic. PSXseeconTraffic updates the position of traffic in your Scenery Generator 20 times per second, so it looks smooth. It also controls gear and lights. The Traffic that PSXseeconTraffic injects in PSX to be made visisible on the Captains ND is more stable than that of RealTraffic. This is due to the internal buffering of 40 seconds, which makes it possible for PSXseecontraffic to take care of erorrs and hick-up's. Read more at my my website. You may find there a link to a short You Tube video too. Thanks for the 1.04 update. I had a very successful flight LSZH to EHAM just now with LIVEATC providing the ATC at the same time - great fun to see the aircraft live. I followed a Transavia 737 all the way from Top of Descent, landing, behind him on the taxiway and parked next to him - great fun! I am sure the 40-second buffer is a nice idea - it clashes a little with the live atc but one learns to make allowances for it. Many thanks for your work on this. I used the initial release before guests arrived for Christmas and was mesmerised watching arrivals and departures at Abu Dhabi with different P3D camera views. Real world traffic injection adds a whole new dimension to the sim. After family had left I tried v3 last week, but it seems unstable on my PC so I'll install v4 ASAP (unfortunately I deleted the original release file). Could there be a future option to assign aircraft model/livery by aircraft registration as well as by airline prefix? Thanks again. As Britjet rightly said - great fun! PS. Also big thanks to Balt and Garry! Yes it is very interesting indeed to see real traffic. Hessel came up with the idea to-optionally- let the landing aircraft stay (in the Scenery Generator) at the gate for say 45 minutes (Easyjet and Ryanair 25 minutes :-) ), instead of removing them when they are no longer in RealTraffics foreflight stream. That would make the airport look even more real. Of course one should not tick the Airports scenery option to have static aircrafts at gates. I don't know, I'm sorry, maybe someone else can join in. No that's not possible I'm afraid, while the aircraft registration information is not in the Foreflight data stream that I am getting from Balt's ReafTraffic add-on. OK no problem Nico. I think UT2 has a facility to randomise the livery it displays where there's more than one available for a particular airline/aircraft combination, but this is really just a nice to have to allow variation and special liveries to be displayed. Once again thanks so much for making our PSX world even better. Installed everything today....... and i like it. Hi, I am using P3D3 as a scenery generator. Connection works, sees 68 liveries, but then it doesn't send any aircraft either to P3D or PSX (PSX works with traffic injection from RealTraffic tho). (PSX works with traffic injection from RealTraffic tho). That's not right, you should tick Disable PSX traffic injection in RealTraffic. thanks for this great add on , it is a real treat to see all this traffic in real time rolling over the tarmac, landing and taking off. there are some programs that handle ground services for FSX or P3D, nice to watch, but this is so much better. together with real ATC and the flightradar24 app on my Ipad it looks like I am standing beside the runway, I have now a worldwide spotter place! And flying amongst them is great fun, Thank you so much ! "Hessel came up with the idea to-optionally- let the landing aircraft stay (in the Scenery Generator) at the gate for say 45 minutes (Easyjet and Ryanair 25 minutes :-) ), instead of removing them when they are no longer in RealTraffics foreflight stream. " I suspect that when they are injected from the RealTraffic foreflight stream they are positioned at the correct gate? Can it not be done then that whenever a new plane occupies a gate the old plane automatically is been removed? A day at this forum is a day learned!